I would never claim to be a bona fide DJ. At best, I am a hobby DJ who’s been given the occasional opportunity to do his thing at some bars and parties. Even so, I am passionate about playing and mixing music, and over the years I’ve invested in various software packages and items of equipment. I started, as every DJ should, with vinyl decks, and then progressed via CDs to Virtual DJ software. I then added a cheap mixing console which, it’s fair to say, served me well for a few bar gigs. 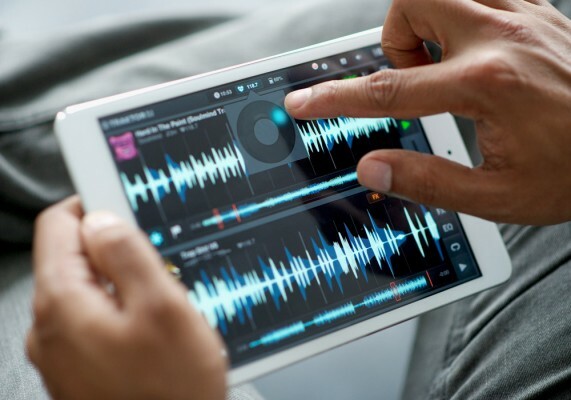 Meanwhile, things have yet again moved on for the digital DJ, and there’s been no development more exciting than the release of Traktor DJ for the iPad and iPhone. Recently, I decided to finally give the iPhone version a go, and I’ll be up-front from the start: I was extremely impressed. Traktor DJ’s interface is clear and slick and the beat-matching engine is spot-on. What’s more, all the key features are present and correct, and all reimagined for touch control – which, as it turns out, is actually a really tactile and natural-feeling way to mix. In terms of the basics, there are EQs, filters, hot cue points, loops, and a basic range of effects including delay, reverb, beatmash and gater. There’s also a track recommendation engine that suggests your next track based on its key as well as its BPM. This kind of harmonic mixing isn’t even available in the Traktor Pro software at the time of writing, so to see it in an app that costs $19.99 on the iPad or just $4.99 on the iPhone is truly impressive. Features aside, however, could Traktor DJ really replace my existing digital setup? Well, on the iPhone alone, probably not. There’s simply too much functionality to cram onto such a tiny screen. Even though the way that Native Instruments has designed the UI is very clever, with the ability to “slide” between decks, I still keep managing to accidentally stop a track when I’m intending to come out of a loop. The difference in price between the iPhone and iPad versions (which are essentially identical in terms of functionality) seems to indicate that Native Instruments is aware that the iPhone version will be used more as a “toy.” But this brings us to the most important point: On the iPad, Traktor DJ is more than I could ever need for my occasional DJing. 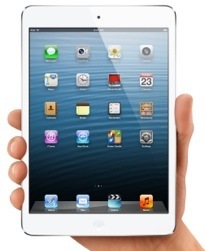 In fact, I am already coming close to hitting the “buy now” button on a new iPad Mini specifically for this purpose. With the addition of Native Instruments’ new Kontrol Z1 mixer and soundcard, I can also have physical faders, headphone cueing and professional sound output – all in a setup that would fit in the glove compartment of the car. While I’ve no doubt that plenty of DJ purists will object to the ease-of-use of Traktor DJ, for people like me who just want to mix some tunes and play the occasional bar set, it is absolutely perfect. My bulky old equipment just got one step closer to the eBay pile. Now that Vine for Android is a few weeks old, users are finding more and more uses for the six-second video app. Owned by Twitter and essentially creating the video form of tweets, Vine is taking the app market by storm. 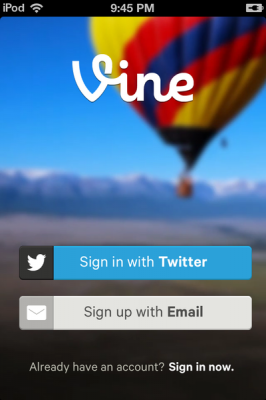 At a year old, Vine even topped Instagram for the most downloaded app among Android users. And the more users that are signing up for the app, the more uses that have been found for this handy little app. In fact, it’s being used for almost everything. Entertainment, creative resumes, just-for-fun posts, even educational ventures, like sharing recipes or cooking instructions. By using the record feature only when it’s necessary (for instance, to show ingredients or important work history), viewers are able to fill in the gaps between shots. This cuts down on share time while creating unique and creative effects. The hold-when-necessary also provides a unique GIF-like appearance, showing the effect of jerky camerawork without giving viewers motion sickness. Because of its unique features – which include sound, stop motion, time restraint, and the ability to share directly to social media sites – Vine has been used for a number of creative video ventures, even more so than its competitors. Reporters are even using the app to share news events as they happen; while video can be recorded, emailed, and posted online, but why not upload a Vine recording directly to Twitter? This feature allows the timeliest of news to be shared while eliminating minimal technology delays. Like Twitter, users cite one of the biggest perks is the time restraint. Users are becoming far more creative with their time without the ability to drag out pictures or instructions. For instance, with cooking-related Vine videos – ingredients are shown in sequence, along with the recipe in progress, until the final project is reached. During a cooking show, a viewer would have watched 30 minutes of program to see the finished product. But with Vine, instantaneous cuts down on all of the in between nonsense, like rambling or commercials. Whether you sign up for Vine for a creative new way to explore social media or you’re looking for a trendy way to share information, this app seems to have something for everyone. Just click, record, and share. To find out more about Vine or to start creating your own stop-motion videos, check out the app on Android and iOS. 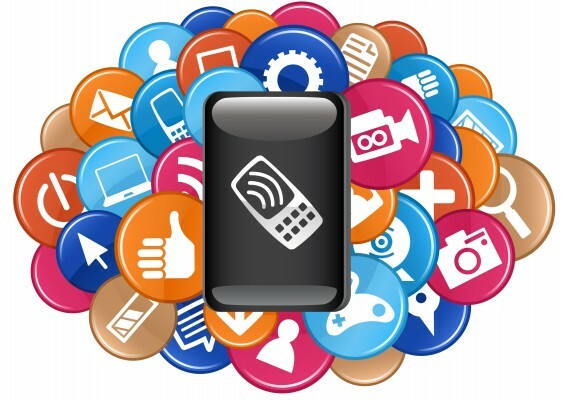 By now, it should be evident that smartphones are the next big thing. The explosion of consumer apps can be seen in just about every industry. Location intelligent mobile commerce apps, magazine apps, real-time trading apps, and gaming and social networking apps are just a few of the industry verticals experiencing this shift. Mobile adoption has been experiencing exponential growth in the last few years and the trend does not seem to be stopping. 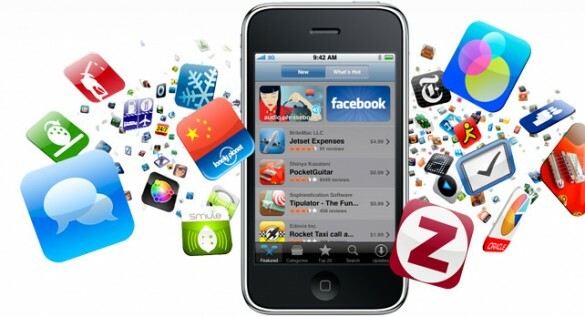 This means that mobile apps will continue to become ever more critical to the success of businesses and companies. As such, what steps are you taking to prepare yourself for this technological revolution that is already unfolding? One way to do this is to make sure your mobile apps are optimized and ready to go when users need them. According to a recent study, 60 percent of mobile users will only give your website or app three seconds to load otherwise they will abandon you. If you thought this was tough, then consider that out of those users, 43 percent do not intend to ever return to your app or site – EVER. How then can you ensure that your app works the way its supposed to on multiple OS platforms? Should you test in-house or outsource? 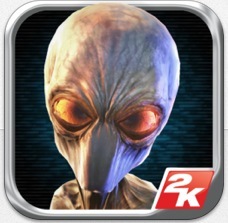 Can testing increase app store ratings? What are the challenges of app testing? This includes checking the screen real estate, finding device specific bugs, normal use test, and idle run test. Exploring the application in a number of devices will help in locating usability problems. Device specific bugs can be identified as such when they are not reproducible on a desktop browser. It is also imperative that you test battery usage by running the application 6-12 hours using an automated testing tool. This includes testing the functionality, layout & design, as well as the application interaction flow. This level of testing tries to make sure the user can complete tasks easily and without becoming frustrated. Usability testing will also include ensure that apps are not crammed with so many features that they leave the users feeling overwhelmed. The goal should be to focus on immersive use that allows users to gain mastery of the content as opposed to quick hits that dilute app usability. Performance issues such as crashes and hangs are common user complaints. These need to be addressed early before consumers divert to competitor apps and services. Your app should also support features unique to specific markets. We can be sure that mobile apps are not going anywhere anytime soon, which means that when you spend time perfecting your app through testing, you are not losing anything but investing in the future of your company or business. Apple’s giant annual developer conference, WWDC 2013, is currently in progress, but we have reached a point where I think we can officially say that Apple is back. Like keynotes from their glory days, this keynote was chock full of surprises and gasps that get you excited about what is coming in the Apple ecosystem. Six might seem like a small number, but each of those updates (except for maybe the new base station) are huge updates that will completely change the Apple ecosystem going forward. I could write full articles about each of these updates, but in my excitement, I will keep it to posting the main front stage updates made in each case and just a brief sentence about what it is. While this update isn’t a huge jump, there are many small things that will make using this operating system better than the last. Skeuomorphism, the act of creating an app that resembles its physical counterpart (like the calendar looks like a physical leather-bound calendar), seems to be dead in the new software released today. This gives an overall smoother and sleeker look. Tabs for Finder: Instead of having multiple windows open for Finder, you can have tabs within one window which will make it easier to manage a lot of windows in Finder and dragging and dropping content between tabs. Tags: Able to tag documents throughout the whole system, which will then show up in your Finder menu bar. Looks very useful for organizing all sorts of things. Apple Maps app: Hopefully a better iteration of Apple Maps, but with cool features like send directions to iPhone, the integration is making it much more compelling. New Calendar app: A bit sleeker than the older version. A few very cool features: when you type something into location (example given was Pizza), the app will search for local pizza areas and will let you choose the one you want. It then displays the information on a map within your appointment, and most impressively will also give you a time estimate for getting there. Much like Google Now, you have the option of being alerted if you have to leave in order to make it to an appointment on time. Unfortunately, I believe Apple Maps weaknesses might make this feature just OK. The app also gives you a weather estimate for your appointment. Safari: The new Safari design is similar to the iOS 7 redesign, which I’ll talk about later in this article. The overall appearance is sleek and simple. It shows bookmarks/reading lists on the left where you can actually browse the sites within the same window by clicking on a bookmark or reading list item, and also has integrated social networking like Twitter. iCloud Keychain: Allows iCloud to save your passwords and credit cards and sync them across all of your devices. Very powerful, and even allows you to generate absurd passwords that will be saved. A cool idea, but I see generating a password like “sra-av34-refav-323e” will be a problem when you are anywhere else than an Apple device. I suppose it would work with logging into iCloud first in a browser, but still annoying. Power saving features: Without going into detail, there are a ton of power saving features that seem to really optimize how your system runs. I think this will have a profound effect on future laptops, and should give better performance for the system as a whole. 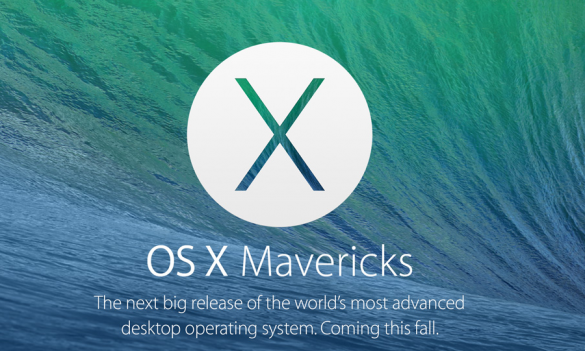 I think this is a great incremental update that keeps things fresh in the Mac OS world. 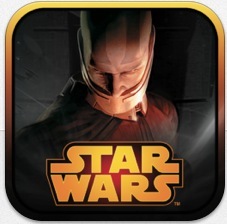 I will be happy to get it this Fall, and see how well things work across the new system and the new iOS. Although hardware looks the same, the new MacBook Air has been pushed a bit further while lowering the price. Both the 11 inch and 13 inch models see a significant jump in battery life with the 11 inch going from 5 hours to 9 hours, and the 13 inch going from 7 hours to 12 hours. That type of battery life is just incredible, and will certainly make owning a MacBook Air an even better experience. In addition to battery life, both models are now based on the new Haswell chip from Intel which will give it more power while at the same time allowing that incredible battery life. The WiFi receiver also sees an update to 802.11ac which according to Apple, can increase WiFi connection speeds by up to 3x. The price is reduced about $100 dollars per model. The Mac Pro is completely redesigned with a lot of power beneath the hood, in a smaller form. A notable feature is that the Mac Pro will support up to three 4K displays. 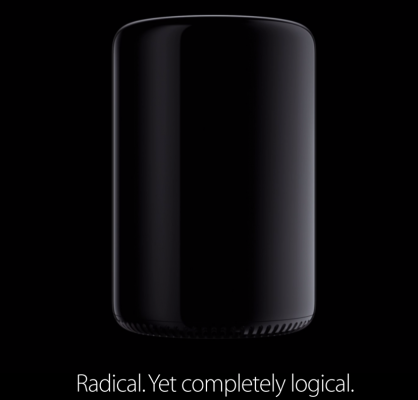 The design itself is very sleek and small, and completely changes the look of the Mac Pro. I think power users will be very grateful for this update, with many quotes claiming to increase various areas of performance by 2-3x. While we didn’t get to see the actual new iWork (it will be released later this year), we did get to see iWork on the web in iCloud. This worked very well, and looked to be almost desktop apps in the iCloud interface. What is incredible is that it works in Internet Explorer and Chrome, and will work on any system. This really broadens the scope for iWork, and makes sharing and displaying documents much easier. Hopefully the redesigned apps themselves will also be nice, but for me it is just a huge relief that one is definitely on the way. It is way overdue, and sorely needed. This update is to be quite honest, positively gorgeous. The interface is flat, sleek, and beautiful. Control Center: Get quick access toggles for: brightness, airplane mode, Bluetooth, WiFi, screen lock, music controls, camera, location services, and even a flashlight toggle. This was sorely needed. Multitasking: True, full multitasking that will allow apps to update in the background, and a multitasking screen that is similar to the Palm Cards system. This allows you to see each screen for each app, and “flick” away apps you aren’t using any longer. Airdrop to other iOS devices: Transfer data and photos from one device to the other using a network. It uses a secure connection, and there won’t be any need to physically “bump” devices like Android. Camera: Live photo filters and a new Photos app to organize pictures. Photos organizes pictures into moments intelligently by a variety of metadata such as location and time. Moments zooms out to collections zooms out to years. Truly impressive view that categorizes your photos. Allows you to scrub through small thumbnails that will enlarge as you put your finger over the photo. Backgrounds with depth: This is truly a “wow” factor feature that basically gives you a depth of field behind your icons. As you move your device around, the image seems to be 3D and keeps it aligned with your eye sight. Gorgeous. iCloud photo sharing: Share your photos directly to iCloud, and can share streams where others can add their own photos (and videos) with their comments. Makes it incredibly easy to share and comment among friends and family using iCloud. Siri: New interface somewhat similar to Google Now. Siri now has a new voice, either male or female that actually sound like humans instead of a robot. Siri has more access to your device, and can do things like turn off Bluetooth, control brightness, and play last voicemail. New integrated services into Siri: Twitter, Wikipedia, Bing search results. iOS in the Car: New car integration that includes iOS displayed on the actual screen of your car. A complete voice powered system with Siri to completely control your phone and navigation. It looks incredible, but probably will depend on all the car partners they have deals with putting it in. App store: Automatic updates, you can see apps nearby to see what others are using. 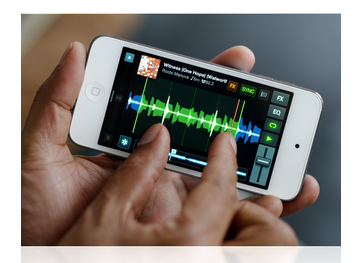 Music app: Artist images, and all purchased music viewable in your library. All movies and TV shows are also accessible through the music app though stored on iCloud. 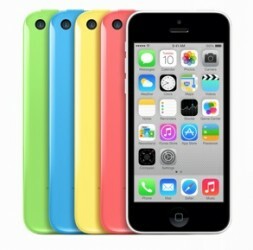 It’s very pretty, but not too revolutionary. FaceTime Audio: We can finally do audio-only FaceTime calls! Notification sync: If you clear a notification in one area, it will sync to all your other devices. Phone, FaceTime, and Message blocking: This feature is pretty self-explanatory. Activation lock: If a thief takes your phone and attempts to deactivate Find My iPhone or erase the phone, it will not be able to be reactivated without your iCloud name and password. 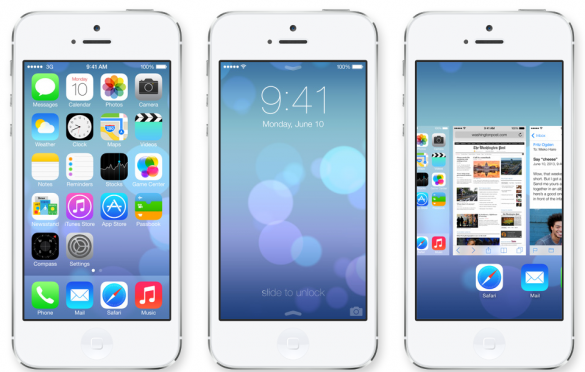 iOS7 will be available immediately for Developers as a beta version, but not available for consumers until this Fall. Overall, I think they did an incredible job on this one. It definitely looks like Windows Phone and Android had a baby, but in a good way. It is a huge change from the old iOS, and I think that is just what Apple needed. 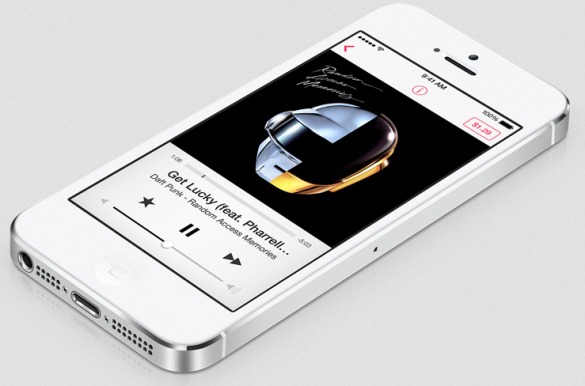 This new feature was much-anticipated, and is built right into the new Music app on iOS 7. What will this new feature do for you? Revolutionary? Not so much. 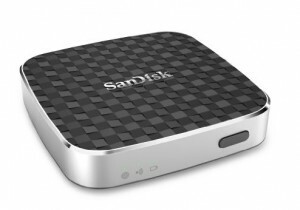 However, it is a cool feature that is built-in and integrated into Desktop/iOS and Apple TV. It is free with ads, and is ad-free with iTunes Match Subscriptions. Basically exactly like Pandora, with some better integration. Apple released a bunch of new updates across a variety of platforms, and they clearly tried to innovate as best they could. Just showing that they are putting this much effort into this, and throwing what they can at it is encouraging, and I think it shows they won’t go down without a fight. They really changed iOS. Sure, it may be a copy cat in a bunch of areas, but the biggest thing is that it is different. Apple haters have been complaining for a long time that iOS was old and not updated enough, and that things needed to change. Well, for better or worse, this is a change. Once we get our hands on it, we can really see how much it changes things. Most everyone on the stage had a great presence, particularly Craig Federighi who is the Senior VP of Software. He was clearly very intelligent, had fun with the crowd, and really commanded attention and inspired confidence. I almost fell asleep when Tim Cook spoke, but other than that, it was great. I think these updates put Apple back in the game. I don’t know at this point if they are back on top, but they have added some much wanted features, and completely redid their iOS system. At the very least, it shows that they are in for the rat race and they aren’t going to sit on the sides lines resting on their laurels. Some people might think Tim Cook isn’t doing a good job, or that this isn’t the new direction Apple should take, or even that they’re copying other platforms… but who cares? They did what they had to do by changing something, and at the end of the day, they have the money and power to change things as they go along. This was the big first step, and hopefully the next ones will follow confidently. I recently enabled the New Gmail inbox, and I have to say that this new update has me scratching my head. I understand that Google is known for frequently updating its products, regardless of whether or not an update is really necessary. It has become something of a corporate culture, and perhaps serves to show people that they really are putting the work in to improve their products. However, was this recent update just a minor adjustment or a useful update to how you use Gmail? The way that the new Inbox is laid out is that instead of one Inbox that has the priority tags, there are multiple tabs on the top of your window. They are similar to tabs in a browser, and by clicking each one you access a different view of your inbox. The default ones that are selected are Primary, Social, and Promotions. If you would like, you also have the options to add Updates and Forums to your tabs as well. Primary – Person-to-person conversations and messages that don’t appear in other tabs. Social – Messages from social networks, media-sharing sites, online dating services, and other social websites. Promotions – Deals, offers, and other marketing emails. Updates – Personal, auto-generated emails including confirmations, receipts, bills and statements. Forums – Messages from online groups, discussion boards, and mailing lists. After you have chosen your tabs, you will notice that your email becomes all jumbled. Gmail automatically goes through all of your emails and places things where they “belong.” For example, anything that is an email generated from a forum comment will go into Forums, any recent email about a great deal will go in Promotions, etc. The idea here is that when you want to look for social emails, you go to social. When you want your updates such as bills and receipts then you go to Updates. I like the idea, and automatic sorting really makes using it literally effortless. So what’s wrong with the new layout? For me, I was immediately confused and a bit shocked to see that the “primary” option is exactly as it states. It is for emails that haven’t shown up in other tabs. What this meant took me a moment to process because I was so surprised and assumed it couldn’t be true. What this means is that there is no longer a unified inbox where you can go and just see ALL your email in one date sorted list. So if you don’t see it in primary, go to social. If it isn’t in there, try promotions, etc. This was immediately a deal breaker for me because this completely makes you rely on the automation process which would have to be flawless. Is Google good enough to sort it out? The answer to this is yes and no. Fortunately, Google is great at recognizing content in your emails (yes, that is creepy), but the built-in safety is that it will actually learn from you as you move your emails around. So for example, if you get an update in your Updates tab that you would prefer to be in your Social tab, you can simply drag them email onto the Social tab and Gmail will ask you if you would always like to do that for this sender. If you choose yes, then that senders email will go into the tab you chose. The biggest problem I see with this is that it is essentially creating “rules” much like you would in Outlook or Apple mail. Yes they can be powerful, but not when they are the only choice across your whole email system. The fact is that a machine, although they have made incredible leaps and bounds, is not yet ready to determine exactly where I want my emails. Granted, the existence of one unified inbox that just shows you everything would be a great safety net that would make this whole experience much easier in my opinion. I think the confusion and the difficulty now is that you can’t create your own tabs, and stuffing your email into these pre-created tabs is… well, hard. I immediately ran into questions that I just didn’t want to answer! Isn’t this forum response from a local club a social event? Is this marketing email also the address that sends me blog updates that I actually like to read? Is my second or third communication with a doctor, job, etc. considered an update or just in primary? They are technically updates to a situation right? All in all, it was just too confusing with too many questions that to be honest, I didn’t care to answer. I don’t get seven thousand emails a day, a nice list of my emails with the occasional folder sorting would be fine for me. I know that for many people, that may not be the case. Another huge problem I have with this system is the mobile Gmail app. Although I don’t have access to the Android version, the iOS version basically works so that you see each tab and have to tap into the side menu to switch between your tabs. That is two taps to switch between tabs, and I can see it being a huge pain to look through when you aren’t sure exactly where an email went. If the default was to see all your messages, then look at them in the tabs when you wanted, I would be ok with that. You would have a safe ground in some way. I have complete faith that Google will improve this system, and even just the added ability to create your own tabs will do wonders. Whether they put in one inbox that shows you everything, I’m not sure, but without it I won’t be using the new inbox. Google also has a reputation for quickly axing a change they made, and it just all of a sudden disappearing from your options. Perhaps this new tab system will go that way! 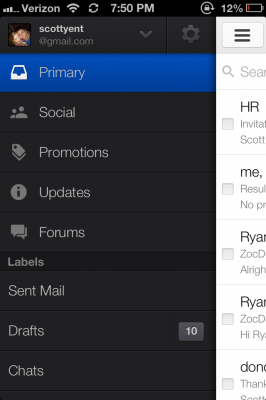 I think what it comes down to is: how complicated does your inbox need to be? For some people, simpler and straight forward is the way to go, and I think this new update pushes into complicated territory. For power users that love to organize, it may be a nice change, but for others it is a head scratching nuisance. When there are apps, apps, and more apps, keeping all of those programs organized and clutter free becomes increasingly difficult. Angry Birds intermingles next to voice memos, while Sound Hound and Pinterest become next-door neighbors. The rhyme and reason to mobile apps often only make sense to the person who put them there. For the make-the-bed-every-day types, the thought of a cluttered device may even keep you from holding onto certain apps. If it hasn’t been used in the past month, it just may be ditched for something more cohesive. 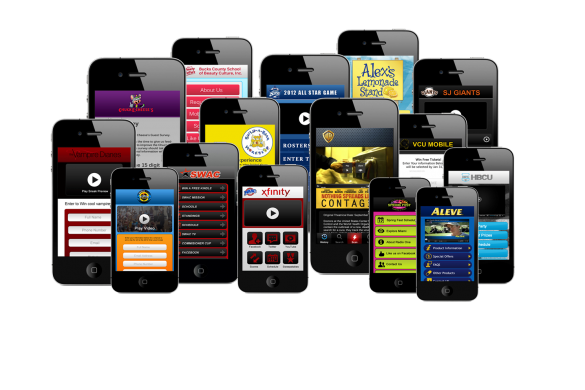 Others let the apps fall where they may, throwing all caution to any sort of mobile organization. No matter your thoughts on clutter, iOS folders can be a great way to clear up a device. Whether on an iPhone or iPad, these folders allow users to group similar items without taking up pages on the home screen. Group games, business apps, rewards systems, or any other category of apps. It’s a task that can be done in only a few seconds, while providing endless amounts of saved time and frustration. Folders are also great for family devices, using a different section for each person’s apps. Create a folder for the whole family, one for mom, dad, and each respective child. This will cut back on searching time and allow everyone management access to their own apps. The use of folder organization can be more efficient than Users (especially for young children), allowing parents to monitor kids’ mobile steps and cutting out log in/out time. For the organizationally challenged, folders allow apps to be quickly and easily navigated, no matter how many programs are downloaded to a single device. Just tap the folder and gain access to an underground layer of apps. It’s also a great storage space for those icons Apple won’t let you delete, like Passbook or Stocks. Just file them under “Stuff I Never Use,” and hide all the icons you’ve yet to open in a single slot. To folder or not to folder – it’s a question many Apple enthusiasts ask themselves daily. But whether you’re the proud owner of 5 apps or 50, iOS’s folders are a great way to keep them in easy access form, no matter your location. After all, you never know when Tweets need updated or when an impromptu game of Fruit Ninja may be a necessity. 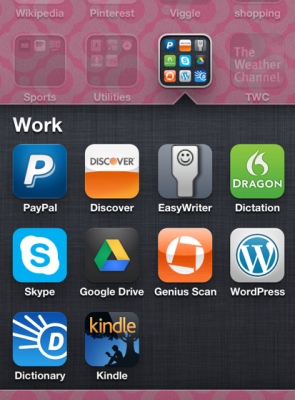 To be ready for anything, with any app, consider the use of folders for your Apple device. As a parent with a young child who uses my iPad, I am always monitoring what he is doing when he uses the device. He knows how to delete apps and has decided if he doesn’t like something he should delete it. I am also always watching to make sure he isn’t playing apps that are not intended for him. He knows there is a page of apps that are his and the rest are mine. However, I never know when he might open a news app and see something inappropriate, or open a game that is not for him. Of course, there is always that risk of an in-app purchase. He doesn’t know my password, but there will be that one time that my password has not timed out and he hits a button that buys something and he doesn’t even know it. 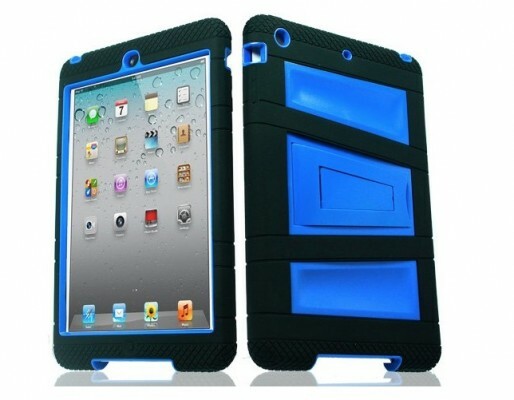 Sure, I could by him his own iPad, but that is a lot of money – even for an iPad Mini. Instead, there are two features I would love to see Apple implement in iOS 7 that would help me as a parent. 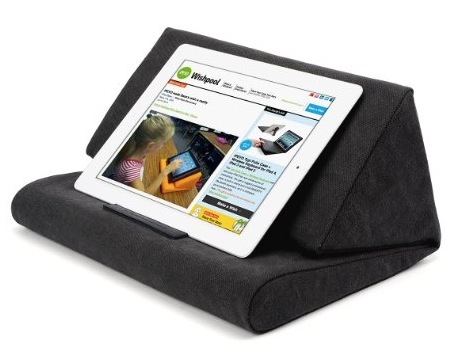 People have been asking for the ability to have multiple users on an iPad for years. The ability to have different users with different apps enabled for each user, and only those apps, would be enough to make iOS 7 a hit. I would love to be able to set up an account for my son with only his apps and nothing else. For that matter, I would love to do the same for my wife. Multiple Users is a feature which is a long time coming and I hope it arrives sooner than later. While there are parental controls that allow you to turn off In-App purchasing throughout the entire iPad, I would love to be able to specify which apps it should be allowed in. I don’t want to have to go into Parental Controls and turn on In-App purchasing if I want to make a purchase in an app and have to go back and remember to turn it off again. This could be similar to the on/off switch for notification center or location services. You would have a list of purchase enabled apps and the ability to allow the feature or not by turning it on and off. Like I said, my son doesn’t know the password to make purchases anyway. However, I would feel much better if I could just turn off that feature inside of his apps. If you use iOS on any device you know that Safari is the default web browser. Sure, there are others available like Chrome and Opera, but if you click a link in any other app it will open in Safari no matter how many browsers you have installed. Recently, I noticed Net Nanny, a company the helps filter out inappropriate content on the Internet, has released an app that is basically a browser that is filtered for kids. (I have not used this app, but I am using it as an example. I do not know how well it works.) This concept is fantastic and I would think many parents would jump at using this type of browser for their kids. However, if the child clicks a link in another app, like a spam email, the links to inappropriate content that site will still open in Safari. As with in-app purchases, Safari can be disabled. However, where would appropriate links open? They would be stuck in limbo, since there is no setting to allow the links to open in another app such as Net Nanny. There are other features I would love to see added, like the ability to shutdown all running apps with one click, the ability to have the weather on my home screen, and more. However, if Apple just implemented the three features mentioned above I would be a happy parent, and I’m sure there would be many other happy parents out there too.